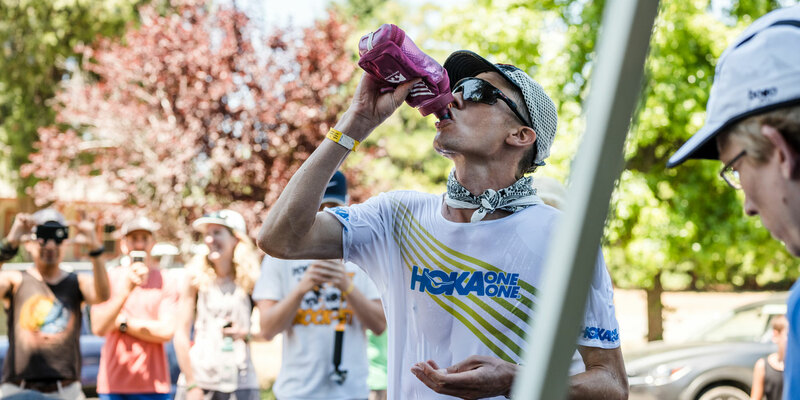 Even if your trail runs—or other endurance endeavors—aren’t anywhere near 100 miles long or in an all-out race for a course record, fueling and hydrating wisely in the heat can make a world of difference in how you feel. When it’s hot, explains Clif Bar’s Registered Dietitian Nutritionist, Jessica Chon, your body is working hard to support the vital organs. “The GI system is not as essential as your muscles, brain, heart, or lungs to keep you functioning,” she says. 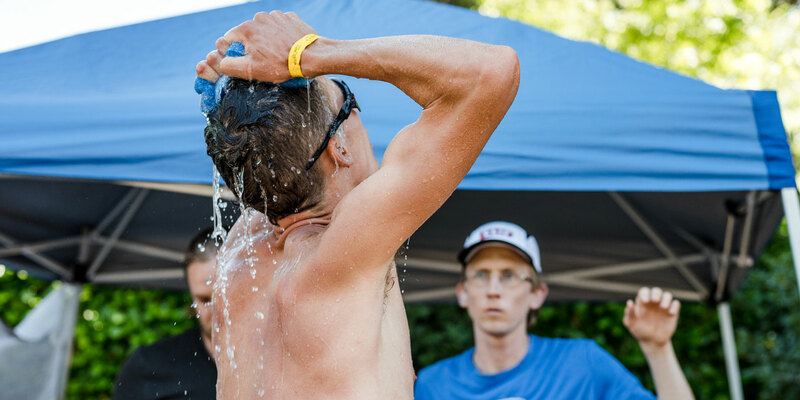 “So in the heat, your GI system gets less love, making it harder to absorb nutrients or take in energy because your blood has higher-priority issues.” That’s why endurance athletes often suffer GI distress in hot weather situations, explains Chon. “Basically,” she adds, “your body is working harder in the heat and your heart rate is more elevated to perform. 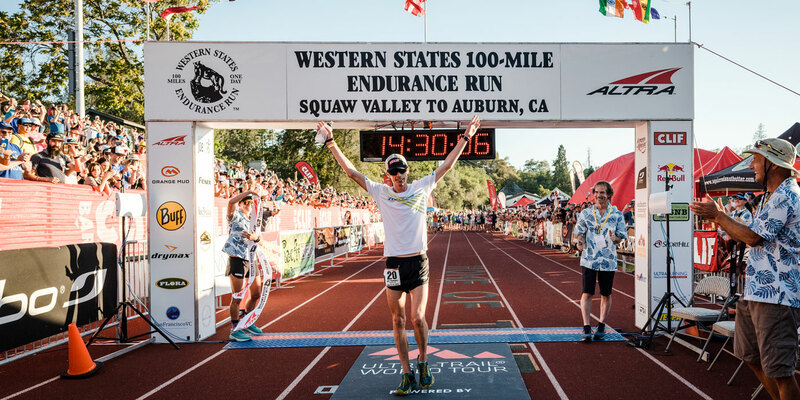 Dehydration makes your heart work harder.” That explains why she says, you feel like you’re going just as fast or just as hard as you usually do in the heat, when in fact you’re likely moving slower. Hydrate all the time. Even when you’re not racing, running, or otherwise working out, make sure you’re always well hydrated. How can you tell if you’re doing a good job? Your pee should be light yellow, not dark brown. CLIF® Hydration electrolyte drink mix, which is a mixture of glucose and fructose for energy, plus electrolytes in the form of sodium and other helpful minerals, like potassium and magnesium. Ingest in small doses. For runs longer than an hour, you’ll need additional fuel. Though CLIF® SHOT® energy gels are formulated to go down easy and quickly absorb into the bloodstream, eating one, 33-calorie CLIF® BLOKS™ energy chew at a time will be easier to digest than a full, 100-calorie gel. Water your food. To aid digestion of calories in the heat, take a sip of water or Electrolyte Mix before eating a BLOK and after, which also facilitates great liquid consumption to keep you hydrated. Drink quickly. Aim to replace the amount of sweat you lost on your run, an amount you can dial in by knowing your sweat rate. Replacing fluid and sodium right away with CLIF® Hydration electrolyte drink mix will rehydrate you to help you recover for the rest of the day and get you ready for your next run. Rebuild muscles. 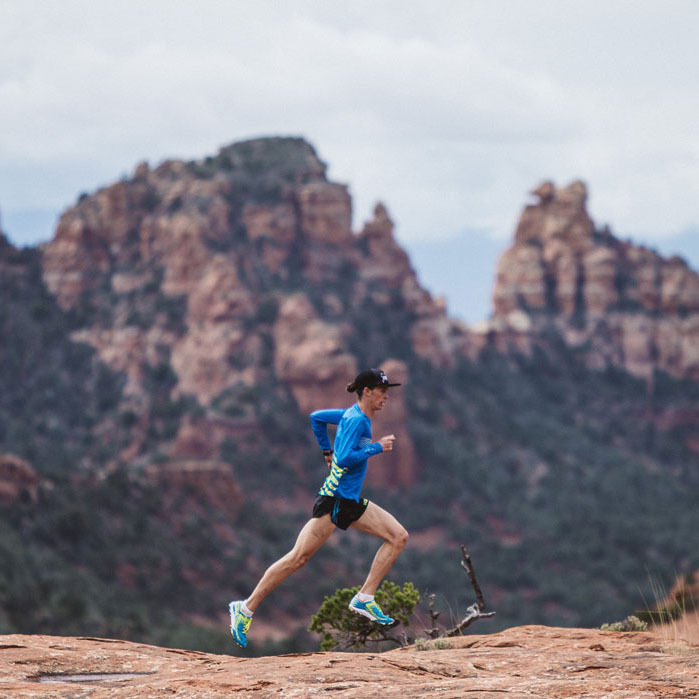 Protein and amino acids help repair the damage we do to our muscles by charging up and down trails, and simply running mile after mile. A quick and easy way to start the recovery process—at the trailhead, in your car on the way home, or at home—is to mix and drink CLIF® Recovery protein drink mix. One serving is 160 calories of whey and milk protein (10 grams per serving), glucose, sodium, potassium and other minerals in one tasty, chocolate-y drink. Now that you’ve rehydrated and refueled, it’s time to put your feet up and look forward to your next summer run…especially since you now know how to beat the heat! *Thomas DT, Erdman KA, Burke LM. Position of the Academy of Nutrition and Dietetics, Dietitians of Canada, and the American College of Sports Medicine: Nutrition and Athletic Performance. J Acad Nutr Diet. 2016 Mar;116(3):501-528.